Union Housing and Urban Affairs Minister Hardeep Singh Puri on Friday announced the names of nine cities winning in the fourth round of Smart City Challenge, with Silvassa of Dadra and Nagar Haveli topping the list and three others from Uttar Pradesh making it.With the announcement, the count of cities slated to become "smart" has reached 99.Erode, Tamil Nadu; Diu, Daman and Diu; Biharsharif, Bihar; Bareilly, Uttar Pradesh; Itanagar, Arunachal Pradesh; Moradabad, Uttar Pradesh; Saharanpur, Uttar Pradesh; and Kavaratti of Lakshwadeep were the other eight cities selected to be developed as smart cities. 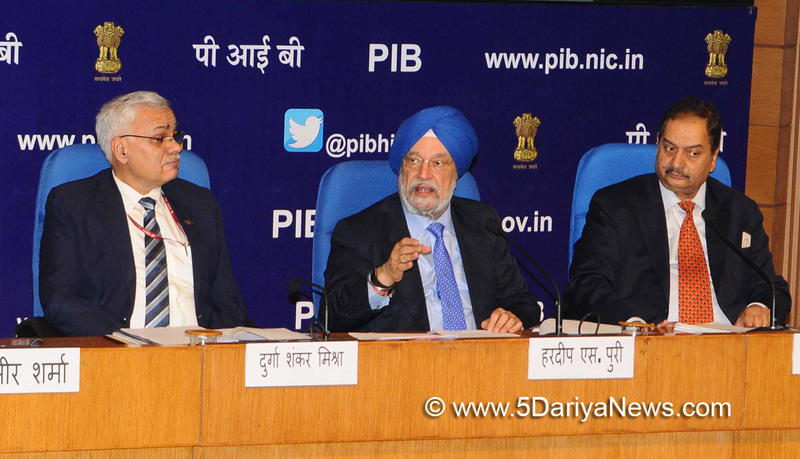 "It is heartening to note that the winning cities have improved the quality of their Smart City Proposals by 19 per cent (average) to become eligible for selection," Puri told the media at the event, according to a government statement. "Nine cities selected have proposed an investment of Rs 12,824 crore, of which Rs 10,639 crore would be in Area Based Development (ABD) and Rs 2,185 crores in 'pan city' initiatives which would be impacting 35.3 lakh persons living in these areas," he added.So far, 99 cities have been selected under the Challenge. Previously, 20 cities were selected in January 2016, 13 cities in May 2016, 27 cities in September 2016 and 30 cities in June 2017.With the selection of these nine cities, the total estimated investment in the 99 proposed smart cities will be Rs 2,03,979 crore, according to the statement.The Smart City Challenge was launched in 2015. Under it, the government was to select 100 cities over the next three years for making those "smart".